Vantage Motor Group has posted a pre-tax loss of £134,000 despite realising a record turnover of £262m – up 25% on 2015. 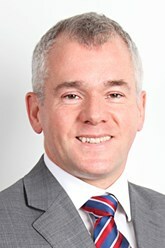 The Knaresborough-based business experienced growth in new and used cars and its aftersales departments, but said in a statement that investments in property, facilities, fixtures and in turnaround operations to restore a number of loss-making and under-performing dealerships had led to the loss in profits. During 2016 Vantage invested more than £3m throughout the group, including the completion of two new-build showrooms in Oldham and Bradford for Mazda and Kia. It also acquired a new site in Blackpool, bringing in another Citroen dealership to the group. Following the acquisition of Toyota and Lexus dealerships in Leeds at the end of 2015, Vantage took the opportunity to invest heavily in a substantial reorganisation of the operations which impacted on short-term financial performance. 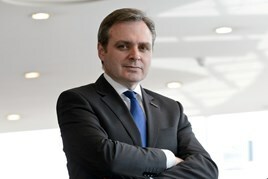 Mark Robinson, managing director of Vantage Motor Group, said: “Record turnover and increasing sales are evidence that the range of vehicles we offer and the high quality service we provide are attractive to increasing numbers of discerning buyers which is very pleasing and shows that we are creating a business with a long term, sustainable future. “While the group did record a small loss for the year, it was as a result of considered decisions aimed at building a successful operation in all parts of our business and ensuring all our dealerships are operating profitably going forwards. Vantage’s new car sales up 5.8% year-on-year in its accounts to December 31, 2016, compared to a national industry increase of just 2%, with used car sales also growing by 4.3%. The business also reported a 13.7% increase in aftersales revenues. Despite disposing of two underperforming sites in 2016, Vantage Motor Group grew its total portfolio of dealerships from 24 to 25 following the acquisition of key new sites. massive debt poor margins wouldn't want to be there bankers !!! a rise in interest rates and a poor trading year could kill them off !! at least you now own the Bradley wiggins motor home now though fair play you can add it to the rest of the debt ! !